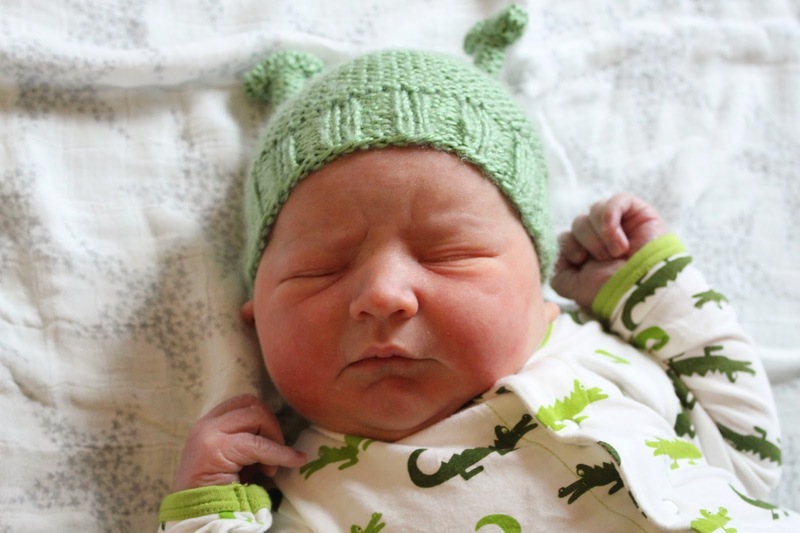 Finn Ryan Keenan joined the fiesta on May 5th, 2015 at 6:16 pm. Strong boy weighed in at 9lb 10oz and 22 in long. I simply cannot wait to write down his birth story and share it! I had the most perfect flawless natural birth that I wanted! Currently, my arms are always full with two my sweet boys in the best possible way! Thanks to all for the many sweet congratulations via Instagram. Our entire family feels so loved! I am soooooo very excited for you and absolutely can not wait to hear your birth story! I've been routing for you from afar throughout your pregnancy and am so thrilled to hear everything worked out the way you wanted! Get some rest mama! I know it's hard not to be super woman after a natural birth! The energy! :) Congrats again! Yay!! Congratulations on your sweet boy's arrival!! My mom's birthday is Cinco de Mayo too!! Welcome to the world Finn!! Awe congrats! A whopping 9 lbs?! wow! He is just perfect! A cinco de mayo little man! Love him, too cute!!! And you, my friend, are amazing! I can't wait to hear about his birth! I'm sure you'll be celebrating with a margarita on his birthdays in years to come! Ahhh so excited for you! He looks so much like Liam! Congrats mama!!! Ahhh! Makes me cry with happiness!! So thrilled for you- and about him! Congratulations! He is beautiful! Can't wait to read the birth story! You're a rockstar! Yes, yes, yes! Yay, yay, yay! I was hoping this was the case when I didn't see an update from you earlier this week. I'm not on Insta so was crossing my fingers and sending you happy thoughts. Congratulations!!! So happy for you. Enjoy those baby snuggles! Such a big boy (and so adorable)!! I simply cannot wait to hear your birth story!! I'm soooooo happy you had the natural birth you wanted, that is such a blessing. Hope you are all settling in nicely. :) Congratulations again!! Congrats! What a big boy! My boy just turned 2 months and he measured in at 22 inches just now. I love the hat! He is just the cutest! :) I love the name too. Our pediatrician said that Finn is the longest newborn he has ever seen! Big boy for sure! He's gorgeous and congrats on a beautiful birth! Can you smell him for me...in a non-creepy way. ;) Congrats again, girl! Oh the newborn smell is incredible! Yay! Congrats and I can't wait to read about your birth story :) so thrilled that it went perfect! XO Chelsea play. wash. rinse. repeat. Thanks! I'm so excited to share! Now I just need to find the time to write it down! congrats gorgeous!! he is beautiful and i can't wait to read his story. SO happy for you and your family that Finn has made his arrival! Can't wait to hear all about his birth story and SO happy you got the birth that you wanted! He is SO perfect!! I am so happy for you!! Can't wait to read the birth story!